Check out Tobi's Shine On Triple Bar Cuff Thin triple bar cuff with rounded metal ends and faux clear stone insets with rounded metal frame. Try with a mock neck crop top for a sleek, modern look. 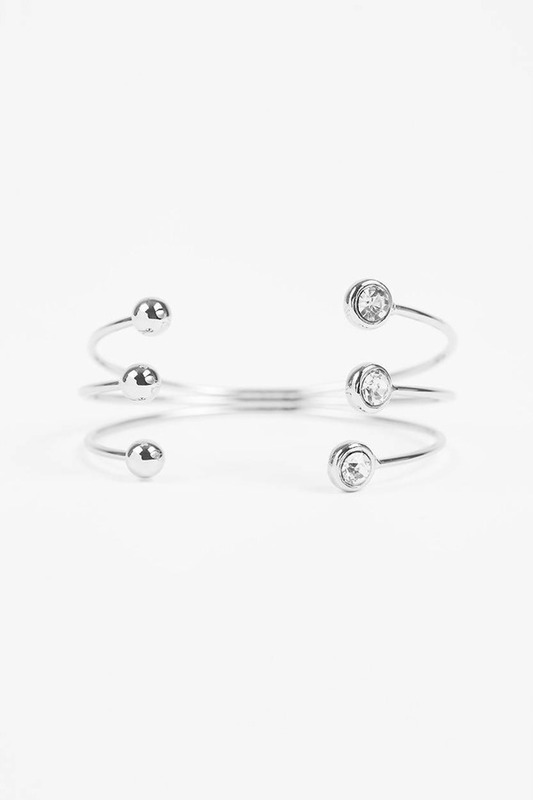 Thin triple bar cuff with rounded metal ends and faux clear stone insets with rounded metal frame. Try with a mock neck crop top for a sleek, modern look.